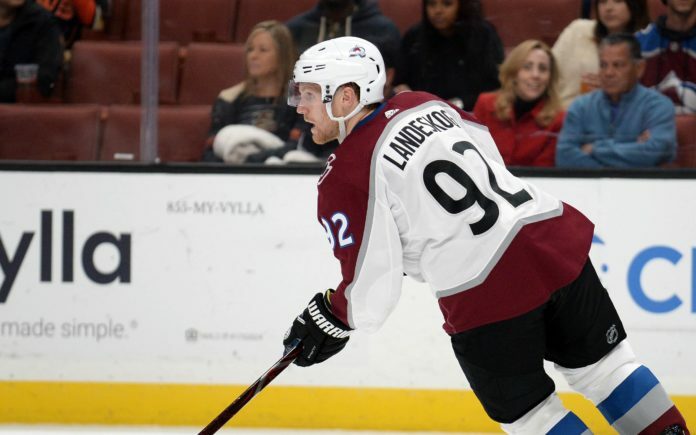 Gabriel Landeskog. Credit: Gary A. Vasquez, USA TODAY Sports. 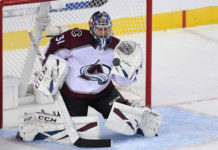 The Colorado Avalanche showed their third-period resilience once again and extend their win streak to four games at home Saturday night in an exciting 3-2 final over the Dallas Stars. The win called for some late-game heroics from both J.T. Compher and Mikko Rantanen, who each scored a goal in the final three minutes to give the Avalanche a much-deserved victory over their division opponent. While the game ended in exciting fashion, the first period was off to a slow start from both sides as each team was on the second night of a back-to-back. It felt as though the Avalanche controlled the start of the game, but the first period ended even in shots on goal at 6-6 and featured some sloppy play from the home team. The second period was better, but there wasn’t much life in the building until Nathan MacKinnon broke the seal 13:11 in for his 15th goal of the year. The goal featured each member of the top line getting a point in a play, which is typical to of their playing style. 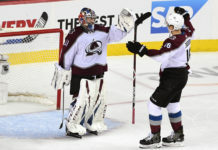 After Gabe Landeskog got the puck out from behind the net to Rantanen in front, Rantanen found an uncovered Nathan MacKinnon who shot a quick one-timer over Stars goalie Anton Khudobin’s shoulder and the Avalanche were finally on the scoreboard. The 1-0 lead stuck through the intermission and most of the third period. Both Khudobin and Semyon Varlamov were able to keep their teams out of trouble even as both teams pushed hard for their next goal. Dallas was finally able to get one past Varlamov, just over halfway through the period. A misplayed faceoff left Varlamov vulnerable and Radek Faksa was able to put away a rebound to change the complexion of the game. Shortly after, with 4:57 left in the period, Dallas’ Jamie Benn added his ninth goal of the year when Tyler Seguin found him on a back-door pass that just beat a sliding Varlamov. Considering that the goals weren’t exactly flowing on Saturday night, the idea of an Avs comeback seemed unlikely, but Colorado was clearly unwilling to lay down. A strong push from the Avs ensued and Compher put home a rebound with 2:42 to go after a solid couple of scoring chances. “We had bodies and pucks going to the net and I just happened to be the one to slam it in,” Compher recounted. Just 46 seconds later, Rantanen found the rebound from an Erik Johnson wrister and overtime no longer was imminent. 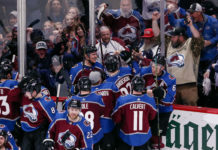 The go-ahead goal was Rantanen’s 10th score of the season and the Avalanche eventually sealed the ever-important divisional victory in front of a packed Pepsi Center crowd. Up next, the Avalanche face a tough test as they will fly out to face the Western Conference-leading Nashville Predators on Tuesday night in Nashville.